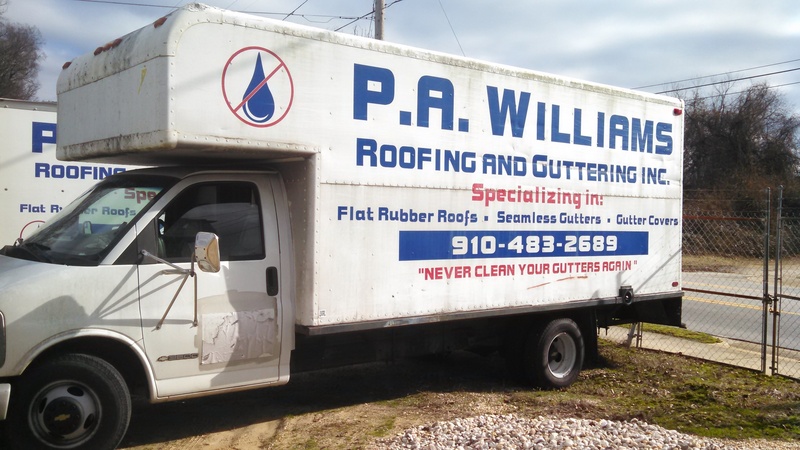 We have been in business since 1986 installing seamless gutters, gutter covers and flat rubber roofs. Our approach has always been the same, recommend, "what we would do if your home or building was ours." The contractor will not pay for his labor until 1 week later. Contractors requiring deposit or money before work is done should be avoided. This will help you avoid delays and fly -by-nights. Always get three estimates, call us last. Black EPDM (Ethylene Propylene Diene Monomer) roofing membrane is a flexible rubber material available in 45 mil (about the thickness of a dime), 60 mil (about the thickness of a quarter) and 90 mil (about the thickness of two dimes). With its superior flexibility and high strength, EPDM can easily contour to unusual roof shapes. 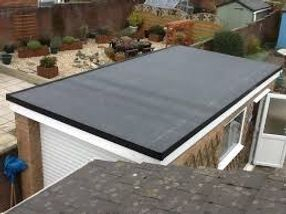 Black EPDM has been used extensively (billions of sq feet in service) in roofing applications since the 1960’s and has survived the world’s toughest climates for over 30 years. “Unlike with roll roofing, we’ve never been called back for a rubber-roof job that leaked, even on oceanfront projects that experience gale-force winds on a regular basis,” declare contractors Rick Arnold and Mike Guertin, authors of “Installing a Rubber Roof” (Fine Homebuilding, January, 1998). Maxdrain We know the larger opening will allow most leaves and pine needles to wash out of the gutter. We also know the larger opening will allow for instance drainage of the rain water without vortexing. 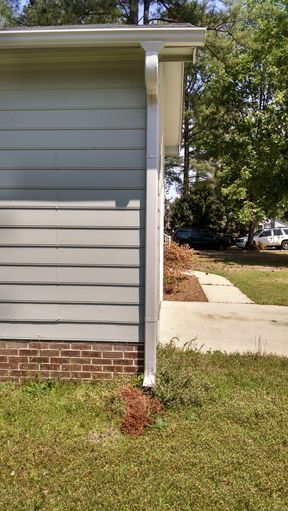 This is the simplest and cheapest way to get the most improvement in your gutter system. Our metal maxdrain is made of aluminum .027" and is an upgrade to the PVC big mouth. 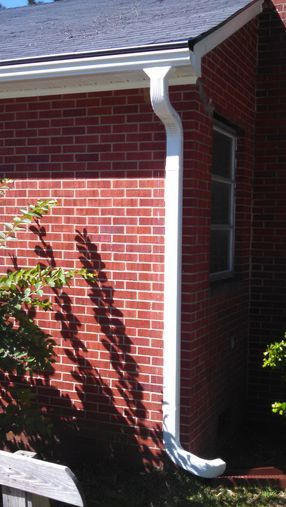 Seamless gutters allow for a continuous gutter with no seams. Seams only at corners in most cases. 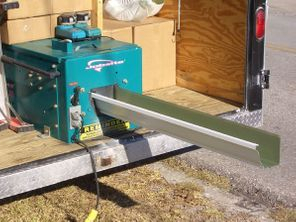 When there is too much pine straw or leaves for the maxdrains, we then recommend the leafthrower. 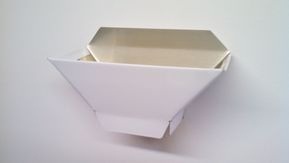 The maxdrain connects the downspout to the gutter with a drain opening in the gutter 3 1/4"x 8"
on the 5" seamless gutter. (26 sq. inches) Our 6" gutter maxdrain opens up to 4"x10" drain hole for the gutter. THAT IS 40 SQ. INCHES OF OUTLET IN THE GUTTER FOR MAX DRAINAGE! The maxdrain is made of the same material the gutter is made of, allowing for a perfect color match and no paint needed as with the PVC big mouth gutter outlet.